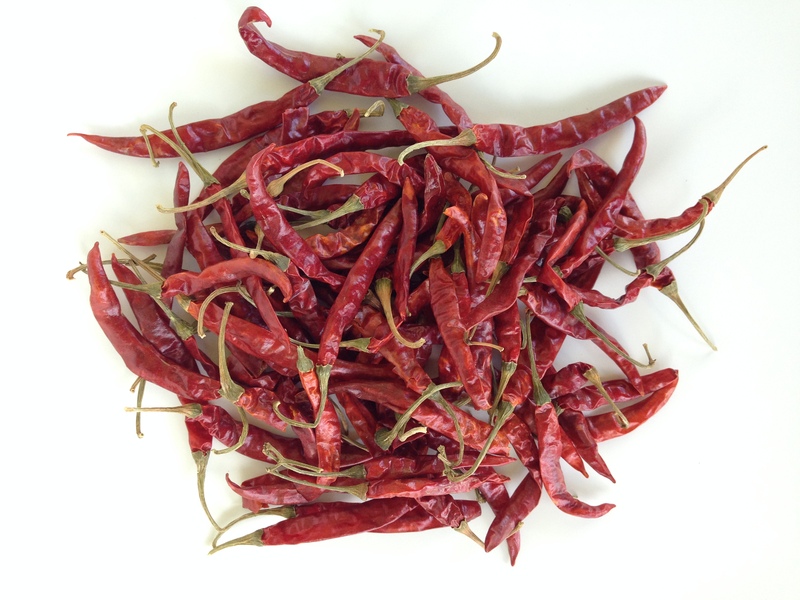 The Chile de árbol is a small and potent Mexican chili pepper also known as bird’s beak chile and rat’s tail chile. The De Arbol Chile is a “treelike” lush plant with thick woody stems. It has a tanic, smoky, and grassy flavor. Origin: Jalisco, Nayarit, and the Central Valley of Mexico. Heat: 7.5 Their heat index is between 50,000 – 65,000 Scoville units. Cile de Arbol Salsa Recipe: Ingredients 2 tbsp. canola oil 4 cloves garlic 1⁄4 white onion, chopped 55 dried chile de arbol, stems removed 1 tomato, roughly chopped Kosher salt, to taste Instructions Heat oil in a 12” skillet over medium-high; cook garlic until brown, 3 minutes. Add onion and cook 3 minutes more. Add chiles and cook 1-2 minutes. Add tomatoes and 1⁄4 cup water; cook until tomatoes begin to break down, 8-10 minutes. Place in a blender with salt and 10 tbsp. water; purée until smooth. This entry was posted in Chile Peppers.